Guests come to your church for many reasons, with many different interests and goals. That means they’ll have different questions they need answered as they decide to join your church. How do you give people answers to the questions they’re asking, and also the questions they haven’t yet asked, but soon will? 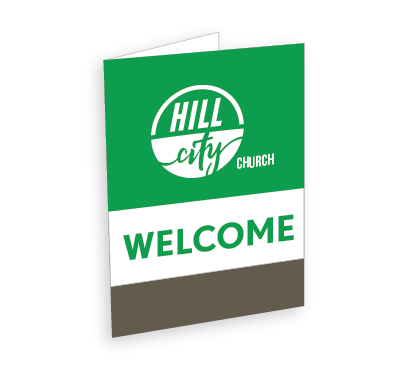 Like a hammer in the hands of a skilled carpenter, Guest Welcome Packets can be a wonderful part of your Guest Ministry if you use them to their fullest potential. As you develop a Guest Welcome Packet, try to anticipate the questions a guest should be asking, and provide answers for them. Additionally, use the packet as a tool to show ways you’re involved in your community and also how to build relationships with people in the church. Less information can be more impactful than tons of details. Stick to what a guest will need to know when deciding to come back again. “Eph 4:13” means something to me and you, but a guest probably doesn’t know that “Eph" means “Ephesians,” let alone that it’s a book in the Bible. Keep things simple to start and work through more details over time. 100% of every square inch of every Welcome Packet is customized for you. We will change the colors, pictures, logos, information, and size of every one of our designs to customize it for your church. If you already have branding, we can customize the packet to match your brand. View Design Library. If you have designers on staff, we can provide templates so you can design your own packet. Click the button below to find everything you will need to customize your packet. Customize My Welcome Packet. To locate templates, look for the ‘Downloads’ tab. When your packets arrive, everything will be printed and cut to size but it needs to be assembled. Organize and stack the insert sheets in the proper order before you put any of them in the folder. This will speed up the process dramatically. As you assemble the packets, place them back in the box you received them in, and include a note between the packets when you’re down to 25-50, reminding you to order more. We always include varying amounts of extra inserts and folders with your order. Don’t worry if you have 2 extra of one insert and 8 extra of another. We always print more than you ordered and include the extras with your order. Welcome Packets work best when they’re part of the gift you give to guests. Leaving them sitting out on a table or in a chair back pocket won’t get you the results you’re looking for. By including them with your gift for guests, you can keep track of inventory and assure that every registered guest gets a packet. If you’re looking to collect information, Connect Cards are the most effective method of collecting guest information. View Connection Cards. Some churches like to show honor to their guests and ask them to stand and be recognized and then give them a Guest Packet. We know your heart is sincere, but avoid the temptation at all costs. Asking guests to stand and be publicly recognized can be very uncomfortable for people who are introverted, have issues with anxiety or suffer from depression. We want guests to have a good experience and identify themselves at the level they are comfortable with, not the level we impose on them. Like the format of Guest Packets? We can use the same format for other types of information packets as well, such as for new members, baptism, Children’s Ministry, volunteer fairs, non-profit organizations, and more. Tell us what you’re looking for and we can make it happen. 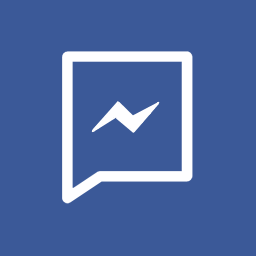 call us at 866-654-6127 and we’ll talk you through next steps.